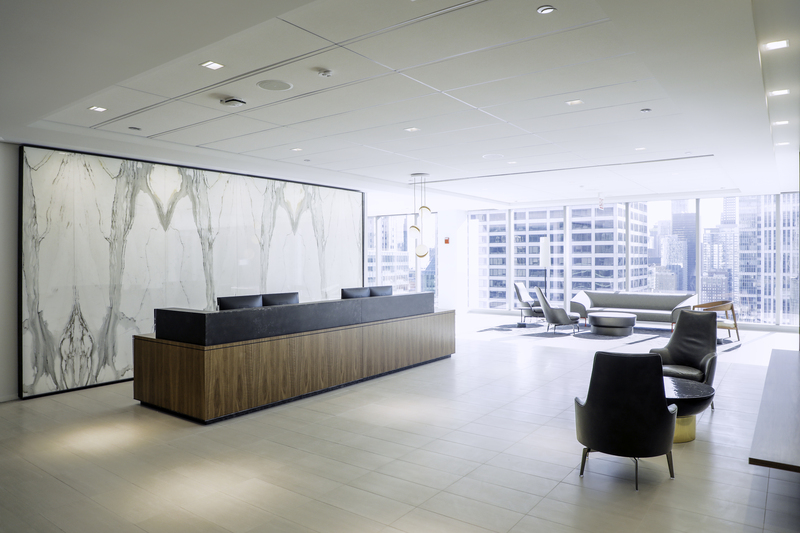 Skender, serving as general contractor, recently completed interior construction of the 121,000-square-foot headquarters for national law firm Hinshaw & Culbertson LLP at 151 N. Franklin Street in Chicago’s West Loop. 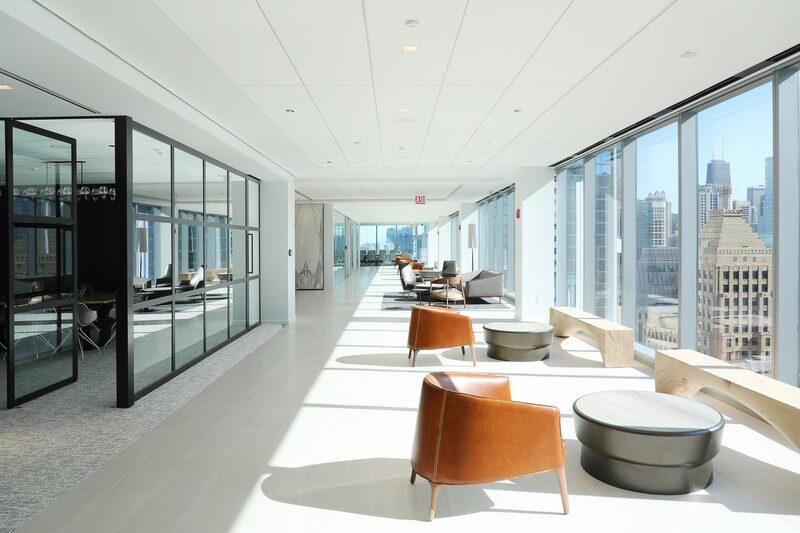 The building is a newly constructed 35-story office tower that will soon be known as CNA Center when CNA moves in from its current headquarters at 333 S. Wabash and Northern Trust takes over the naming rights to that building. Relocating from its current offices at 222 N. LaSalle, Hinshaw’s new, five-floor workspace features high-end finishes throughout the space; two floor-to-ceiling Italian marble feature walls on the 25th floor; a stone, glass and millwork feature wall on the 24th floor; a substantial employee café and open-plan benching for support staff. 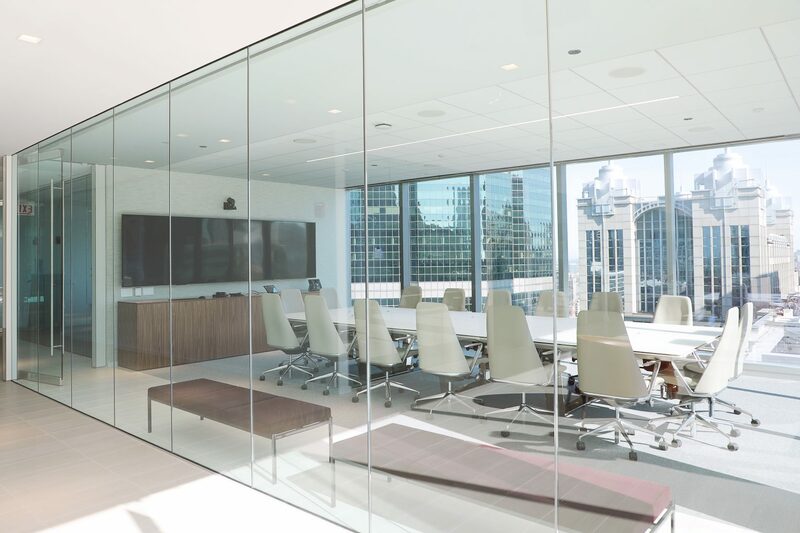 Universal size private offices with lakefront views contain large sidelites around the office doors that bring natural light into the common areas. 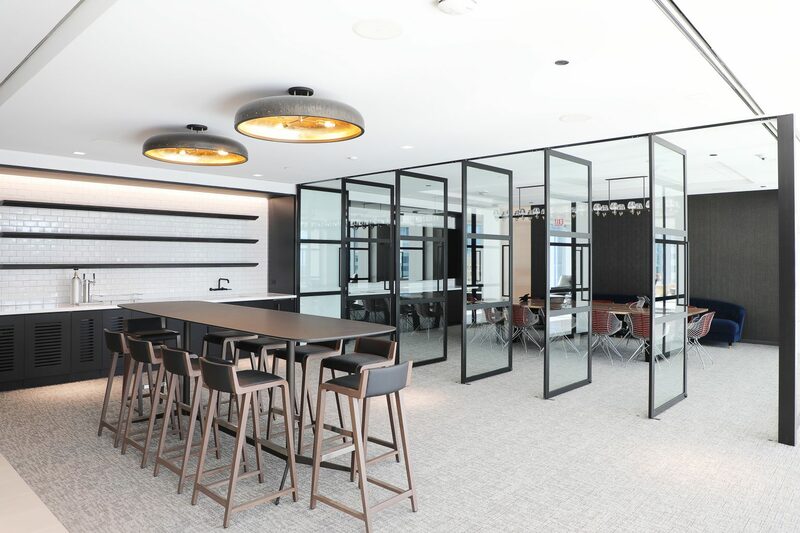 Skender also built a large conference center with modern metal-framed glass pivot doors and custom millwork that will function as an impressive event space. 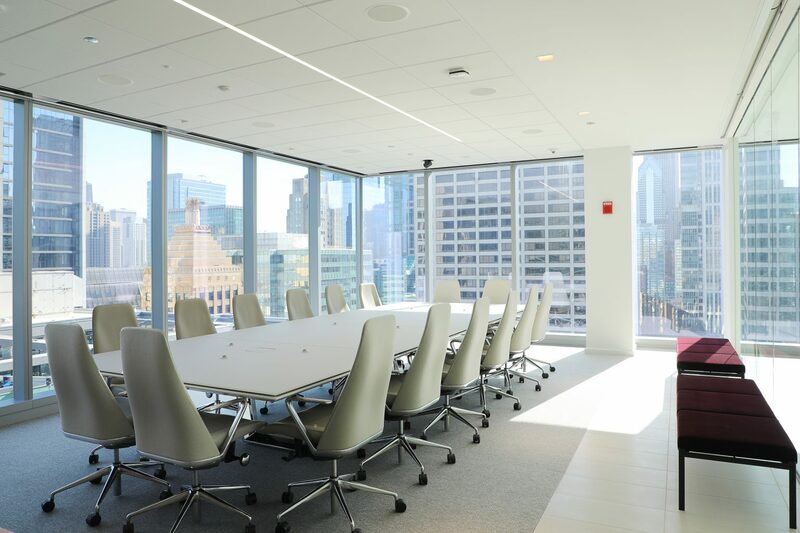 Skender collaborated with several Chicago-based firms to successfully complete this project, including design firm SCB, consulting-engineering firm Environmental Systems Design (ESD) and project management firm ConopCo Project Management.